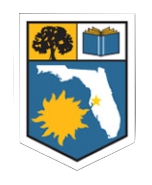 The mission of Florida Genealogical Society is to foster and encourage the research, publication and preservation of family histories, genealogical records and historical materials for future generations. The Florida Genealogical Society (Tampa) continues to assist its members and the residents of the Tampa Bay area in modern and traditional methods of research, to provide educational activities related to genealogy and family history, to promote interest and study in ancestral history, geography, and social customs. Founded on 28 Jan 1958, the Florida Genealogical Society (Tampa) is the oldest genealogical society in the state of Florida. FGS’s operating year is January – December each year. 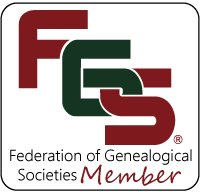 We are proud members of the Federation of Genealogical Societies. We meet monthly to discussion on going research, assist each other with challenging research issues, and host relevant presentations in the field of genealogy. Our meetings are normally held at 11:00 am on the first Saturday of every month in the auditorium of the John F. Germany Library. Prior to each meeting (10:15 am to 10:50 am) we hold a special interest group meeting focusing on member’s ongoing research, helping to break through brick walls, and general education. FGS is open to everyone in the Tampa community and actively partners with the Florian History and Genealogy Library on projects and programs. Founded on 28 Jan 1958, the Florida Genealogical Society (Tampa) is the oldest genealogical society in the state of Florida. Below are articles about our storied past. Below are our governing by-laws and policies.